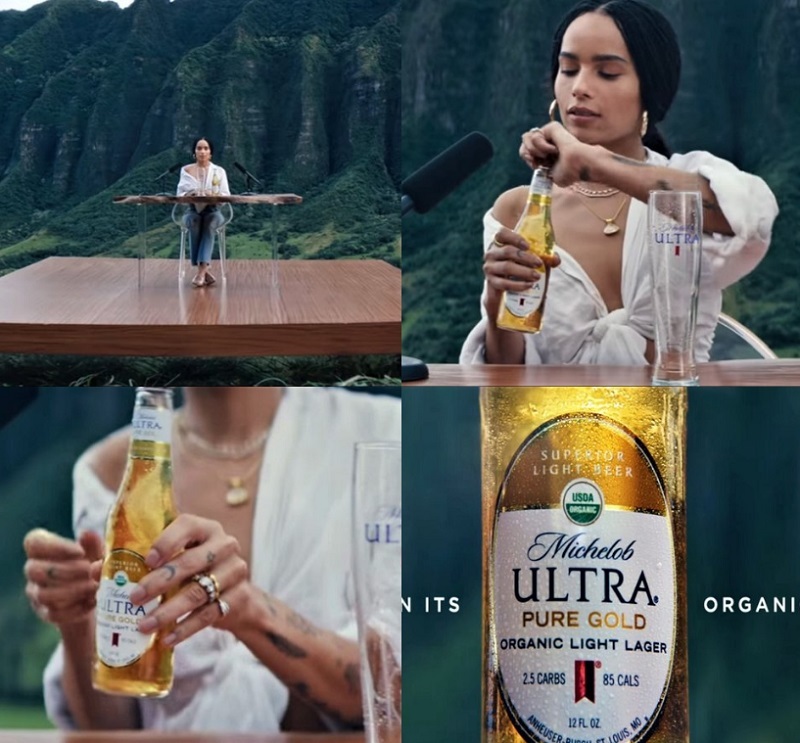 ELLE US shares Zoë Kravitz’s upcoming Michelob Ultra Super Bowl Sunday commercial, and it’s as chill as she is. Kravitz has made drinking beer — well, soothing. The ‘Big Little Lies’ actor whispers quietly into two giant microphones, opening her bottle of Michelob Ultra against a lush green vista of low-range mountains and cascading waterfalls. Directed by Emma Wastenberg with a mostly female production team, the commercial is positively tranquil, a palate cleanser in a raucous, high-stakes football game. Love those earrings Zoë Kravitz! We can’t get a good look at Zoe’s earrings, but they share design DNA with GlamTribal™ Double Sweet Pink Elephants Bone Tagua Earrings. A new design adaptation is in the offing.